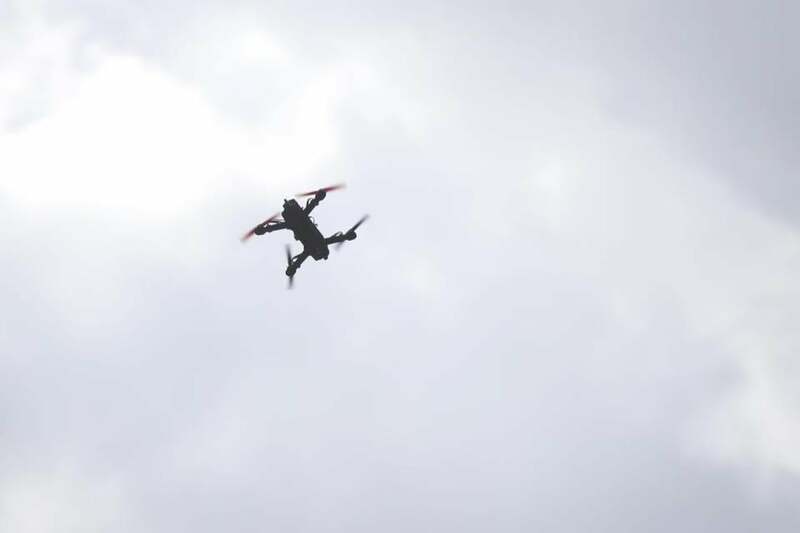 A drone flew through the air during a race in Berlin, Mass., last year. State Police will soon begin using a drone to help investigate and reconstruct car crashes, a move officials say could help them investigate crashes more quickly and get traffic moving again. The Massachusetts department is one of the first in the country to employ such methods, State Police said in a statement. The drone will fly over car crashes to photograph and take measurements of the scenes, State Police said. The drone was purchased for the department by the Massachusetts Department of Transportation, State Police said.